جهت دانلود کتاب Music Theory in the Safavid Era با ما مکاتبه کنبد. کتاب Music Theory in the Safavid Era پس از واریز هزینه ارسال میشود. ایبوک 113806243X در آرشیو گیگاپیپر موجود است. The Safavid era (1501–1722) is one of the most important in the history of Persian culture, celebrated especially for its architecture and art, including miniature paintings that frequently represent singers and instrumentalists. Their presence reflects a sophisticated tradition of music making that was an integral part of court life, yet it is one that remains little known, for the musicological literature of the period is rather thin. There is, however, a significant exception: the text presented and analysed here, a hitherto unpublished and anonymous theoretical work probably of the middle of the sixteenth century. With a Sufi background inspiring the use of the nay as a tool of theoretical demonstration, it is exceptional in presenting descriptive accounts of the modes then in use and suggesting how these might be arranged in complex sequences. As it also gives an account of the corpus of rhythmic cycles it provides a unique insight into the basic structures of art-music during the first century of Safavid rule. 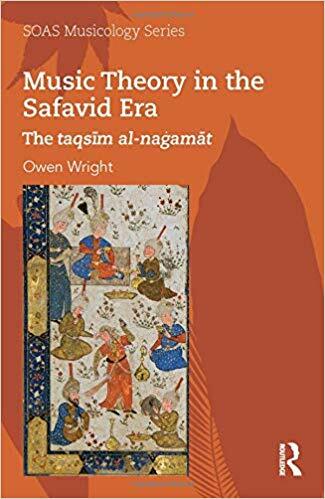 Owen Wright is Emeritus Professor of Musicology of the Middle East at the School of Oriental and African Studies, University of London.